December 7-9 2018 :: Kingsport’s venerable historic site, the Netherland Inn, will celebrate the Christmas holidays in traditions that date as far back as the 1820’s when Richard and Margaret Netherland hosted friends and family for a lavish party complete with beautiful decorations, good food, and lively music. Listed on the National Register of Historical Sites, the Netherland Inn rises above the Holston River. The restored Inn faces the Old Stage Road in the heart of Kingsport’s Boat Yard Park, an area along the Holston River that served as migratory spot for settlers to build boats for their westward trip during the mid-1700s. William King originally built Netherland Inn between 1802 and 1808 as a point from where he could ship salt westward. He later sold the inn in 1818 to Richard Netherland who procured a stage contract and established the inn and tavern for travelers along the Old Stage Road. 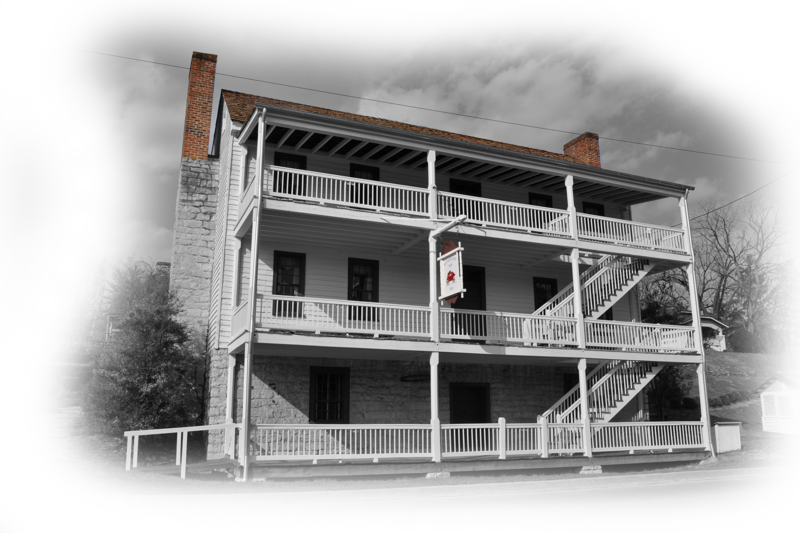 As a stop along the route from Washington City and Nashboro and the main route to western Kentucky and middle Tennessee, the inn hosted many famous persons including Presidents Andrew Jackson, Andrew Johnson and James K. Polk. The Inn is filled with museum furnishings that depict an intimate study of life in one of the South’s most important American frontier settlements. Behind the Inn is the Netherland Inn Log Cabin Children’s Museum and Schoolhouse, featuring children’s toys of the 18th and 19th centuries. Not original to the site, the cabin was moved from Daniel Boone’s Wilderness Trail in Virginia. Boone is believed to have lived in the cabin between 1773 and 1775. The Inn is open May through October and by special arrangement.